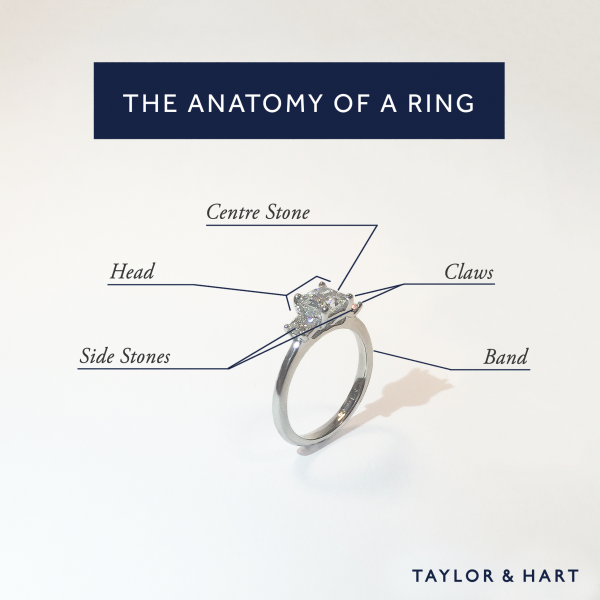 At Taylor & Hart, I am responsible for the overall leadership and direction of the company so I don’t always get to see every single engagement ring setting that comes through our office. However, I do try to see as many as possible. 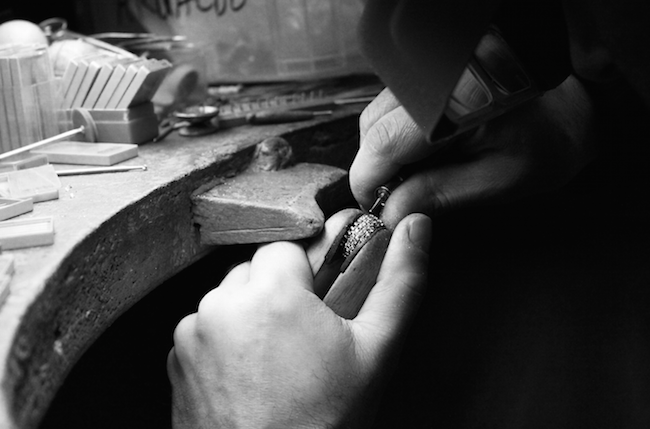 As a company that specialises in bespoke designed engagement ring settings, there is always something new, beautiful and entirely unique coming through our workshop. So it is with great pleasure that I am able to share with you, my favourite engagement ring settings. Let’s start off with a bit of fun! 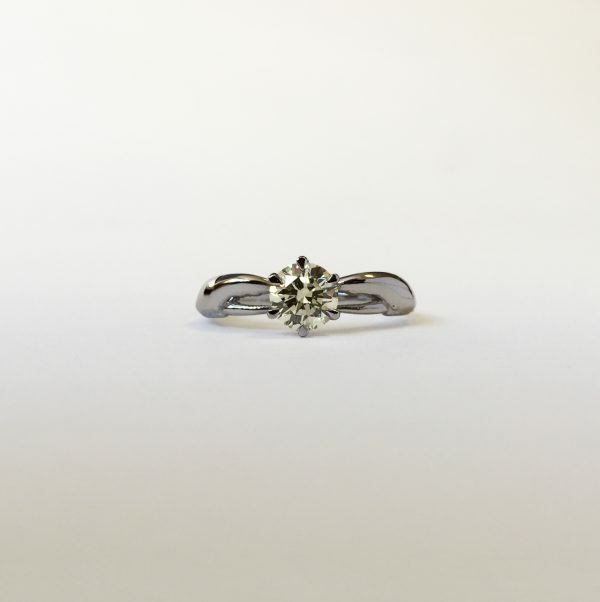 One of our customers, a chef, told us his dream was to make an engagement ring setting inspired by his passion in life, cooking. We designed a ring that takes inspiration from the claws of a lobster. From afar, this engagement ring setting could be mistaken for a modern tapered shoulder. On closer inspection, you can see the individual grooves and detail that represent the claws and pincers of a lobster. In the past, we’ve made rings inspired by nature’s beauty, but this design incorporated the physicality of a lobster as well as the passion for life and love of this couple, making it a truly personalised ring. 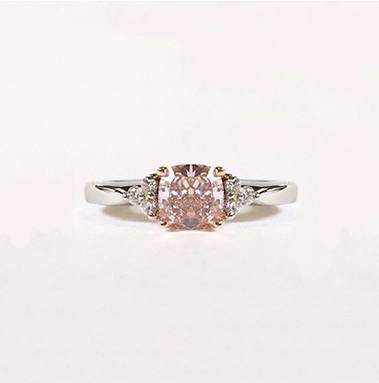 The truth about pink diamond engagement rings is that they are very rare and thus carry a high premium. Of those we have done, my favourite is shown below. I love its simplistic beauty. Six small diamonds sit on the shoulders of this platinum engagement ring setting and the centre pink diamond is set in four rose gold claws. I also love the cushion shape, which is my favourite diamond cut. While this ring costs close to £50,000 in total, the engagement ring setting can be recreated using a pink sapphire to produce a very similar look for between £2,000 to £5,000. When it comes to aesthetics, I am a sucker for symmetry, precision and a splash of colour. The ring below is named “Forty-Five” because, unusually, the diamond is set at a 45 degree angle to the engagement ring setting. 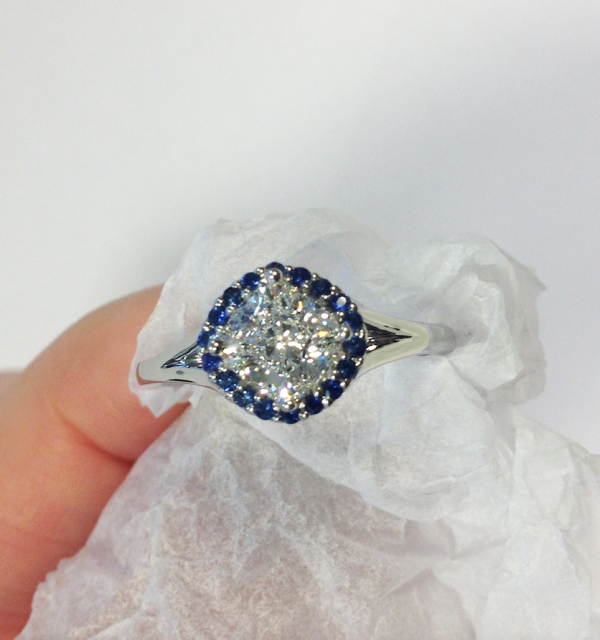 The ethereal halo of blue sapphires set around the centre diamond makes the centre stone appear larger than it is, a clever trick for anyone hoping to get the best value for their price point. 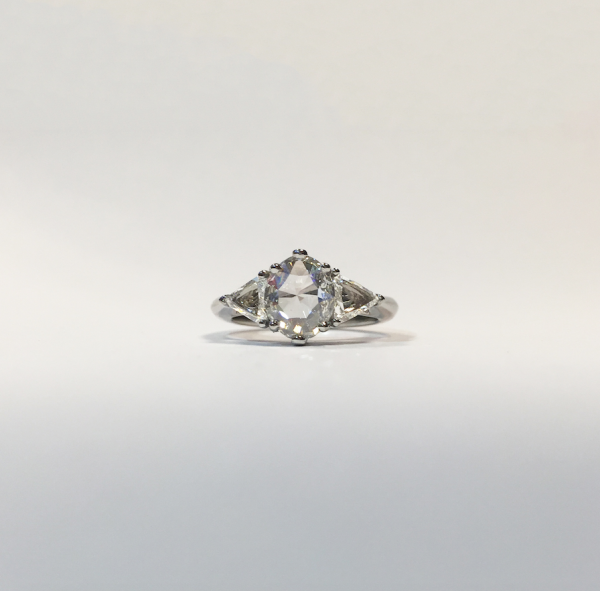 Once again a cushion cut diamond sits in the middle of this engagement ring setting to complete a design that always draws attention and admiration. One of the most popular styles our customers request are those that have floral elements. 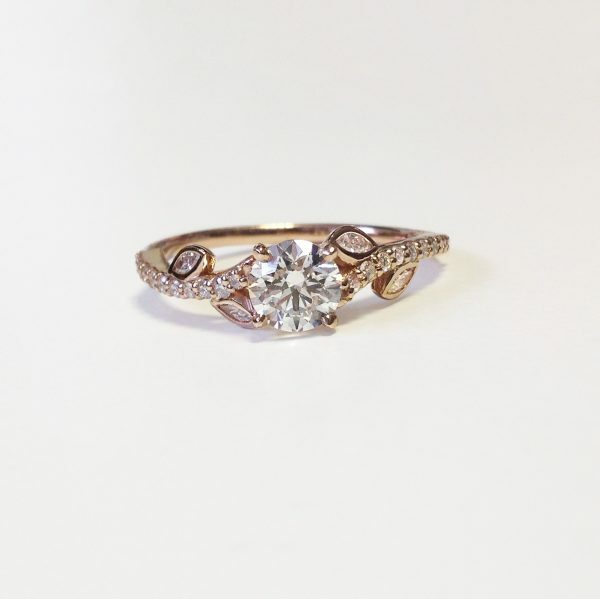 From leaves and flowers to vines and other exotic plants, designs based on floral elements are a beautiful and feminine way to personalise engagement ring settings. The ring below is one of my favourite floral engagement ring settings. There is a perfect balance between floral and classic elements with the small marquise cut diamonds representing the leaves and the twisted shoulders, dusted with pave diamonds symbolising a vine or stem. Rose gold brings a warmth to the ring, in contrast to the icy white of platinum or white gold. Sure, the ring below looks nothing like a rose. The reason for its name is the diamond cut with which this engagement ring has been set, which is called a “rose cut”. 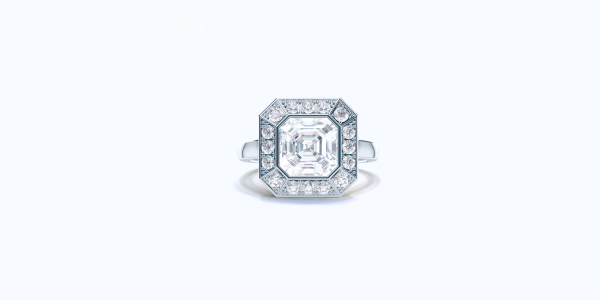 Such diamonds have a very different, vintage look in comparison to the most widely used brilliant round cut. Dating back to the Georgian and Victorian eras, rose cut diamonds feature a flat base with a dome-shaped crown and have a different faceting structure to a brilliant cut diamond. Set in this trilogy setting, the rose cut diamond is framed with two triangle side diamonds, giving the overall ring a unique and edgy aesthetic. 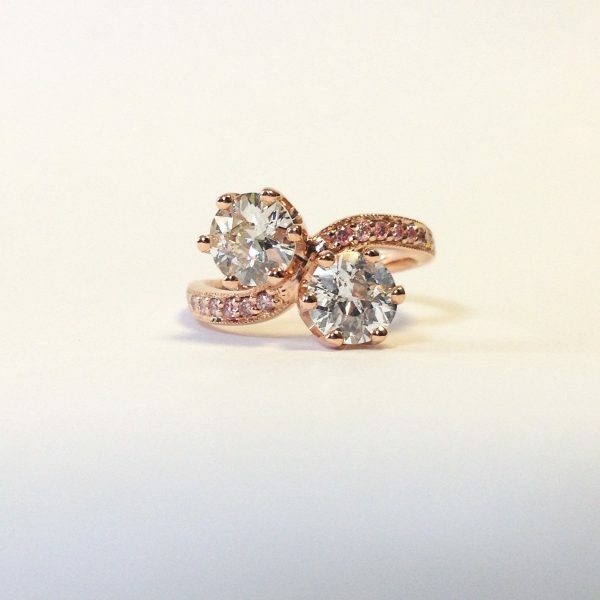 Balance and harmony, two design aesthetics I really enjoy seeing in our engagement rings are demonstrated in this rose gold engagement ring setting. The ring has been set with two old European cut diamonds, while the band has been set with our vivid fancy pink melee diamond, creating a truly Taylor & Hart bespoke ring. This style is known as a ‘moi et toi’ ring, symbolic of ‘me and you’ in both life and the representation of two diamonds, working together as one. So there you have it – five of my favourite engagement ring settings. 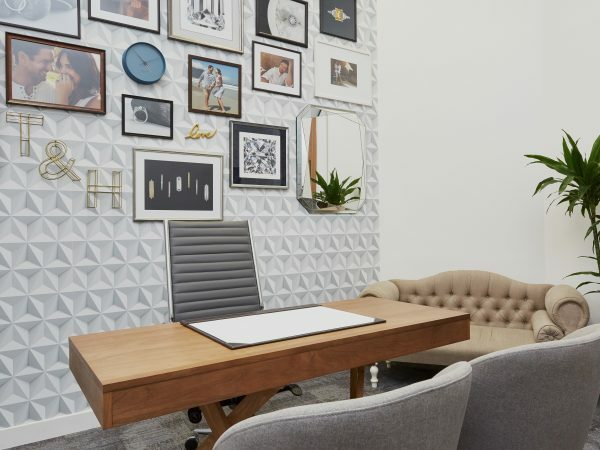 If you’d like to design your own custom engagement ring setting, schedule a consultation where you can discuss your ideas with one of our skilled design consultants. I’d love to see what you think! Which of these designs is your favourite?